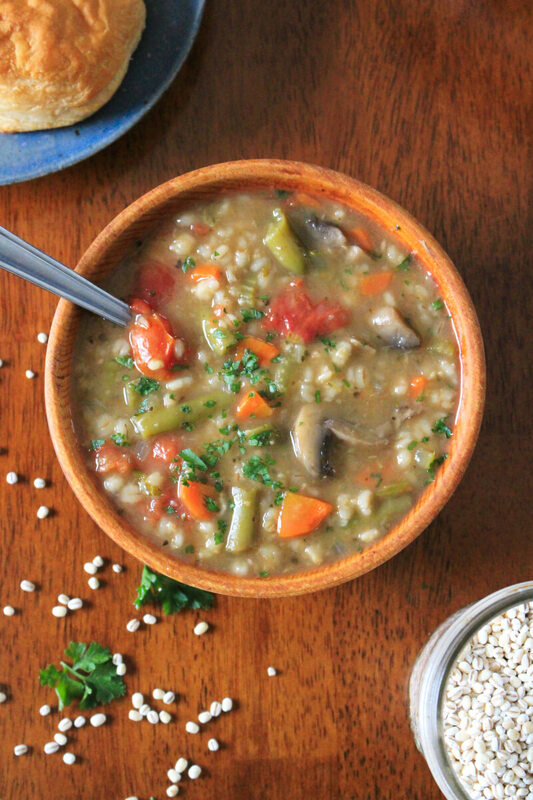 Slow Cooker Vegetable Barley Soup is healthy and nutritious, yet hearty and comforting, made with lots of veggies, mushrooms, and pearl barley. 'Tis the season for soup! It's finally cooling down in our neck of the woods, which means it was under 60 in the sunshine state today! Now, I know to some of you that seems like summer weather. But to us Florida folk, when you have to bust out the sweaters, that means the cold weather has finally arrived! And cold weather means soup weather. My husband mentioned the other day that I hadn't made soup in a long time and I went to argue that I had, but the more I thought about it, the more I came to realize that he was right. I haven't cooked soup in for-EVER! We eat a ton of non-vegetarian meals in our house, so when I decided to get in the kitchen to end our soup drought, I decided I'd skip the meat. Normally my husband would balk at most vegetarian options, but lately, he's been pretty open to going with whatever I decide to make. I'll tell you, we didn't miss the meat in this recipe for one single second! 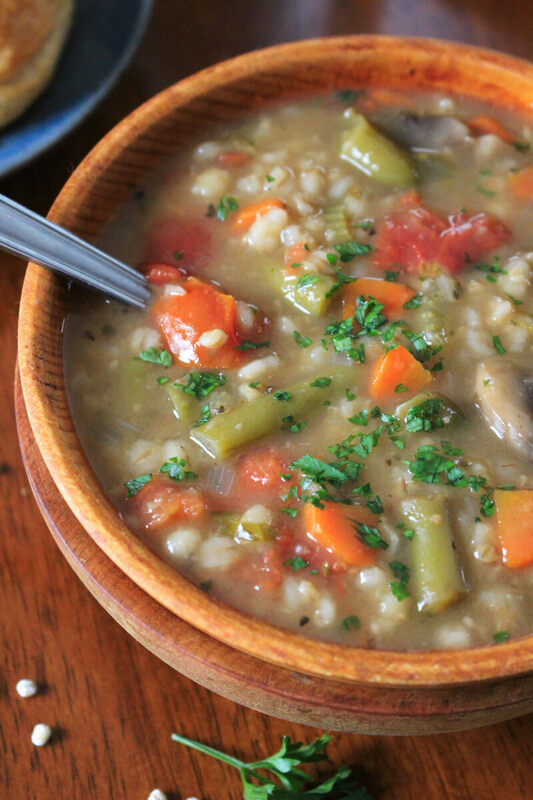 The barley adds a hearty texture to the veggie-packed, flavorful broth making this soup super filling an oh so yummy. If you are not familiar with barley, go google it right now! Barley is basically a mighty little superfood that you totally need in your life. Not to mention the fact that it's delicious. My 8-year old even asked for more the next day! 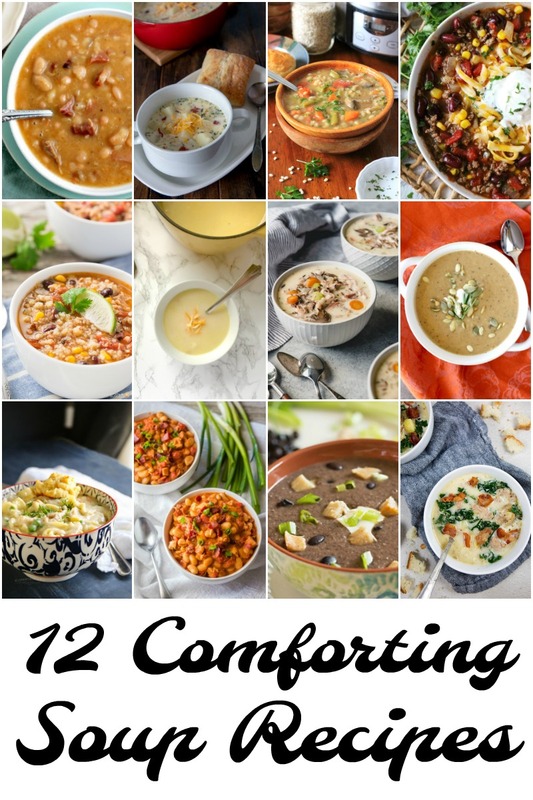 If you decide to try this soup, I'd love to know what you think in the comments below. Enjoy! 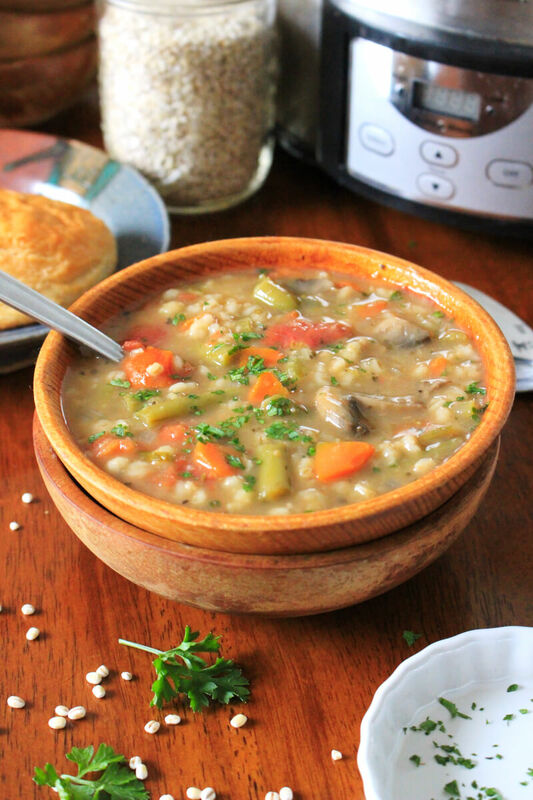 Slow Cooker Vegetable Barley Soup is healthy and nutritious yet hearty and comforting, made with lots of veggies, mushrooms, and pearl barley. 1. Heat a large skillet over medium-high heat. Add the olive oil and butter to the skillet. When the butter melts, add the onion, carrots, celery, and mushrooms. Cook for 8 minutes, stirring often. Clear a hole in the center of the pan and add the garlic. Continue cooking for one minute more. Transfer the vegetable mixture to your crock pot. 2. Add the green beans, diced tomatoes, barley, vegetable stock, beef stock, oregano, salt, pepper, and thyme to the crock pot and stir. 3. Cover and cook on high for four hours. Top with fresh chopped parsley before serving, if desired. This was so good!! I made it in my Instant Pot and cooked on slow cook for four hours!! Amazing!! I added some crushed red peppers for some heat. I still don't have an instant pot but I am SO HAPPY to hear that it translates well. I love the ideas of the crushed red pepper. I'm definitely going to try that next time!